This blog is to show and share the love of Jesus Christ. 2018 SHM WEEKLY WISDOM TITBIT. WEEK 17. STEP ASIDE ALREADY. Life can be hard consistently, especially in some parts of the world – for the uninitiated! A mindset change is required for you to really key into, and benefit from the capacity to live above all systemic challenges in your environment. Yes, it is possible. It is not unlikely that beset with myriad challenges, one’s soul will be overwhelmed, yet, ironically we still feel “we can surmount” the challenges with natural help. Relying on the arm of flesh for intractable problems indicates that one does not know, or fully appreciate that the spiritual controls the physical as we already discussed this year. My friends, the smart thing to do, is yield issues and problems of this world system to He who knows tomorrow from yesterday. Yes, you and I have a role to play in solving our own problems, by doing the right thing and applying applicable principles – this is a must. However, when you have done all that, and there still appears to be no breakthrough solutions, then is the time to STEP ASIDE ALREADY! Dear friend, trust me, our brains can not fathom the extent of His powers, or the potentials of His wisdom! So, yield all burdens to Him, for He alone is mandated to influence what happens in your world before they manifest. Why wait for a crisis before you embrace His truths? A clarion call for hungry souls still out there – come and drink from His satisfying well. Come today, come aplenty. You shall excel In Jesus’ mighty name. We love you! April 24th 2018. Salvation House/LexConsults Humanae International. Hello there, friends. Last week we began our understanding of the fact that the spiritual controls the physical. Thank you for the enquiries and questions that came. I am trusting Him that He will provide answers to those questions this week. First, what are those inner eyes? Simple. Our hearts. No, not the physical one that pumps blood and keeps us alive. Another. You can call it your spiritual heart if you want. Remember that out of our hearts flow issues of life? And that the heart of man is desperately wicked? These admonitions of the Lord refer, not to the physical heart, but the spiritual one. Second, how do we deploy this inner heart to affect what happens in the spiritual realm, that now impacts the physical? By placing it at the disposal of the force that controls all realms – He who sits upon the circle of the earth and makes the earth His footstool. We constantly need to ask Him to open the eyes of our heart to see as He sees. Trust me, once you get a hang of this, your decision making would go to another level, as you would see (some will say ‘sense’ things before they happen and with wisdom, prepare for them). Trust me also, it is such a sweet advantage that makes those around you wonder! Third, if you resist the temptation to use this advantage for selfish ends (as is likely for many), then another vista would open unto you to influence what happens in and around you. Because the ability to horn this grace depends on what use you put it. Let me leave you, my friends, with this – why not meditate on this – Father, open the eyes of my heart to see as you see? I see many doing great and mighty things from now on. We love you! April 17th 2018. Salvation House/LexConsults Humanae International. 2018 SHM WEEKLY WISDOM TITBIT. WEEK 15. INNER EYES, PART 1. Every human being is equipped with 2 sets of eyes. I know, strange, right? Let me explain. We have our pair of eyes that sees outward, that takes in images and sends the signals of them to our brains to decode and interpret in nano seconds. Yes. But there is also our inner eyes. Not visible to the sight of others, but really it is that which ought to drive our lives. I pray I get inspiration not to make this too complicated. This is the way of it. The physical realm is a manifestation. It is not where decisions that matter are taken. Life changing, situation altering decisions take place in a realm above this physical. Whatever faith you profess, this is the truth of it. What happens therefore in our lives, in our environment are influenced by decisions taken outside those lives, that environment. Lord, help me! So, simply put, there is this realm where important decisions that we see and live through are made. AND THE GREAT NEWS IS THAT YOU AND I CAN ACCESS, AND INFLUENCE THE DECISIONS THERE! That is part of what being a little lower than Elohim means! How do we do this? Well that will be our discuss next week. I need to leave us with this thought though. The spiritual influences the physical, and you have a say on how that works in your life and circumstance. So, please use this week to meditate on this and we will take it up from there next week. God bless you! April 10th 2018. Salvation House/LexConsults Humanae International. SHM WEEKLY WISDOM TITBITS. WEEK 14. NOT MONEY, PLEASE. God has never and will never think in monetary terms. Show me one thing He created with money and I’d shut up. None? So, I encourage you to stop praying amiss for money. I make bold to say that no amount of night vigils or fasting will put money in your pocket or food on your table. Anybody who teaches you otherwise does not himself understand the way God prospers. Why? Because it is contrary to the principles of our principled God. Pray instead for ideas. The chair you sit on came from someone’s idea. In fact every raw material God created in this world have made people and nations money because they generated ideas to mine and market them! It is not enough for you, for example to catch game. You must add value to it by knowing how to roast it! My dear friends, as we head into this weekend, I hope your week has been good, and that you realized some of your goals? The Lord be praised. There is a covering that shelters from all adverse conditions and situations. It is a covering that operates in all dimensions of existence, spiritual and physical. It is powered by the very essence of Jehovah Himself. Against this offering, there can be no opposition, because flowing through it is the eternal Spirit of the Lord Jesus Christ; and in it the Executive powers of the Holy Spirit is manifested. 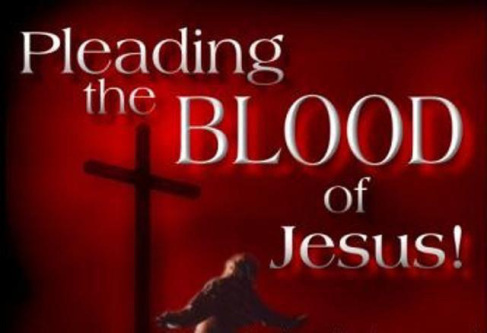 This covering, dear friends is the BLOOD OF JESUS CHRIST. SHM Weekend Tonic_28/09/2012_Heaps Upon Heaps! breaching his natural line of defense. He was bound, giving them unfair advantage. So They assumed by their number and chicanery that they would have the upper hand. They reasoned like men. He saw them coming, he knew their number; but just Iike one who knew his God, he slew them under the anointing, heap upon heaps! Not one of his assailants remained, not a single one of them! They were trounced, vanquished! Why? Those who know their God shall not only be strong, of a truth we will do exploits! KEEP THE FAITH, YOU SHALL EXCEL! Good day, dear friends. Today I feel led to encourage someone out there who thinks time is running out on him or her. 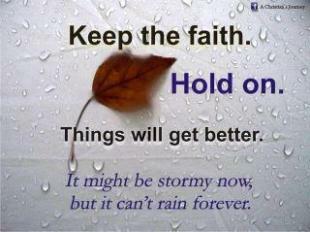 Keep the faith, God has not forgotten you. In His season for your manifestation, no power or force from the pit of hell can stop you. And there is that season for every human being, trust me. While you are waiting for your own manifestation of success, what do you do? PREPARE, PREPARE, PREPARE! My friends, opportunity without adequate preparation is a recipe for failure. Read up on your areas of interest, ask questions of people who have done similar things before – not just those who succeeded at them, but even those who failed at them. 2018 SHM WEEKLY WISDOM TITBIT. Week 20. God’s Purpose. 2018 SHM WEEKLY WISDOM TITBIT WEEK 20. DECIDE NOT TO LIVE IN FEAR! 2018 SHM WEEKLY TITBIT. Week 19. PROTECT YOUR VISION. SHM 2013 GOOD FRIDAY MESSAGE_A LOT CAN HAPPEN IN JUST THREE DAYS! SHM PRAYS_Prayers For Generational Dominion & Relevance.